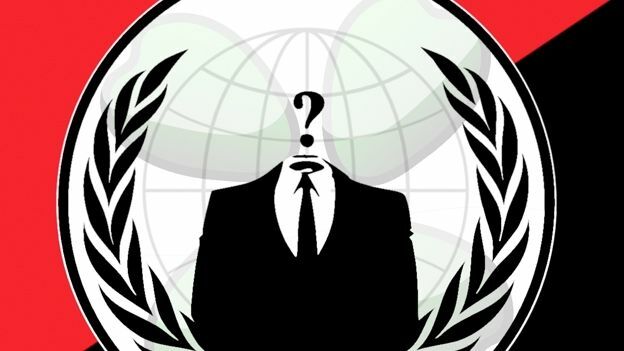 As global tensions over North Korea's threat to launch a nuclear strike against the US continue to rise, Anonymous appears to have thrown its collective hack into the ring. The hacker collective has claimed repsonsibility for defacing North Korea's Twitter and Flickr pages and taking its official news and information website out of commission. The site in question, uriminzokkiri.com, is currently unavailable at present, and could have been taken down after a Denial Of Service attack, which would have Anonymous's MMO written all over it. The site's twitterfeed was also highjacked; the account's profile was replaced by two dancers - one wearing a Guy Fawkes mask - and featured a series of posts insulting North Korean leader Kim Jong-Un. The posts 'hacked' and 'tango down' were also tweeted. In a post on Pastebin that was picked up by CNET, Anonymous explained how they were able to get inside North Korea's intranet. "We have a few guys on the ground who managed to bring the real internet into the country using a chain of long distance WiFI repeaters with proprietary frequencies, so they're not jammed (yet)," the group said in a statement. "We also have access to some N.K. phone landlines which are connected to Kwangmyong through dial-ups. Last missing peace(sic) of the puzzle was to interconnect the two networks, which those guys finally managed to do." If Anonymous stays the course, it's likely its hacking attacks will continue for in order for them stop, North Korea would need to capitulate to the group's demands. Since these include the introduction of democracy and the resignation of the country's current encumbent as leader, we doubt this is likely to happen anytime soon.